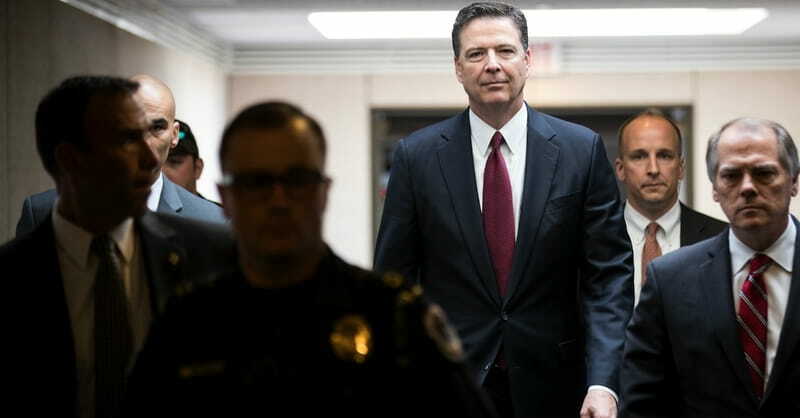 Former FBI Director James Comey testified for nearly three hours yesterday before the Senate Select Committee on Intelligence. My wife and I listened to the entire session. Meanwhile, British citizens were casting votes in an election to determine their leader as they begin the process of exiting the European Union (the so-called “Brexit”). In light of these historic events, consider two biblical principles. One: The future is impossible to predict. On this day a year ago, Hillary Clinton led Donald Trump by six points in nationwide polling. At the same point, Brexit polls showed that those who wanted to stay in the EU led those who wanted to leave by two points; just prior to the June 23 vote, “stay” led by six points. Of course, the surprising American election put Mr. Trump in office. And the shocking UK election led to Brexit, Prime Minister David Cameron’s resignation, and Theresa May’s ascension. The surprises continued yesterday. Mr. Comey offered several new revelations in his testimony. And the British vote was a major setback for the prime minister. She called for the election last April when her Conservative party had a strong lead in the polls, hoping to increase her majority in Parliament. But her party lost so many seats that it no longer has a majority. To remain prime minister, she will need to form a coalition government, most likely with the Democratic Unionist Party of Northern Ireland. Scripture teaches that we should not be surprised by surprises: “You do not know what tomorrow will bring. What is your life? For you are a mist that appears for a little time and then disappears” (James 4:14). We should face an uncertain future by being obedient to God’s will today: “Whoever knows the right thing to do and fails to do it, for him it is sin” (v. 17). Two: Character is more important than circumstances. Private conversations between Mr. Trump and Mr. Comey have become the substance of front-page headlines. As Jesus noted, “Nothing is covered up that will not be revealed, or hidden that will not be known” (Luke 12:2). Now many are debating the integrity of the two men. In a similar vein, British citizens voted for the candidate they believed had the strength and skills needed to navigate Brexit and the turmoil it will produce. Their prime minister’s character will be severely tested in coming months. God’s word teaches that “a good name is to be chosen rather than great riches” (Proverbs 22:1). It predicts that “whoever walks in integrity walks securely, but he who makes his ways crooked will be found out” (Proverbs 10:9). And it notes that “man looks on the outward appearance, but the Lord looks on the heart” (1 Samuel 16:7). Yesterday’s testimony in Washington and the vote in the UK will resonate long into the future. But our decision to obey God’s will today produces integrity that resonates eternally. If you make Christ your King, “he will give you everything you need” (Matthew 6:33, NLT). Is Pro-life Legislation ‘a Form of Slavery’?